We just heard from another one of our recent graduates. “I Got a Job in my new Dental Assisting career!” This is what we strive for! 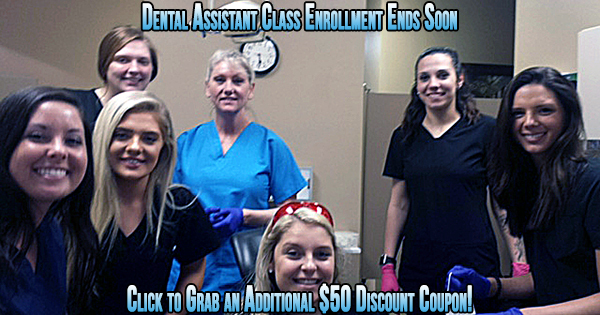 The next Dental Assistant Class enrollment ends soon with only 2 spots left! Get an additional $50 discount coupon if you sign-up by April 12th! Hands-on training is what gives our students the best advantage in the dental field. It’s the “doing” that is the most successful way of learning. Give yourself the opportunity for a great new career! After the 13-week dental assisting course you can be a highly trained and sought-after dental assistant. Class is filling fast with just 2 spots left! – Grab your additional $50 discount – simply email, call (615) 988-8484, or come visit the school today! This video says it all. 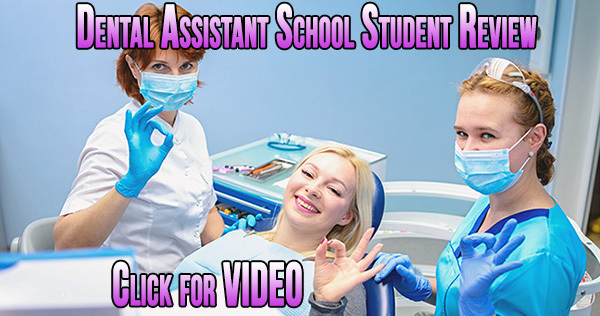 Click to view a Dental Assistant Review Video by Graduate Dawn Penny who loved the individual attention she got from the small class size at the Dental Assisting School of Nashville! Thank you Dawn for your kind words and congratulations for your ongoing success and what the future holds for you and your wonderful family. We understand the nerves, fear of the unknown, going back to school, the financial pressure, we get it, and we care unconditionally about our students. Thank you Dawn for your words of encouragement to new students looking to make a change! If you have any questions simply email, call (615) 988-8484 or, come visit the school today! Check out our students learning new skills on x-ray / radiograph night. Want more information on the course? – Click below! Dental assistant X-ray night with radiation safety. Students learn about clinical application of x-ray safety, film exposure, processing, mounting and evaluation. It is a great way to learn these valuable job skills using instructional videos, workbooks and physical demonstrations utilizing provided supplies. Note that x-ray instruction can range from digitial to film, automatic (panoramic) to manual. The training includes exposure of x-rays on a dental manikin. We often also perform a FMX on sample clinical patients. Internship and externship often includes FMX’s on three patients in a dental office. 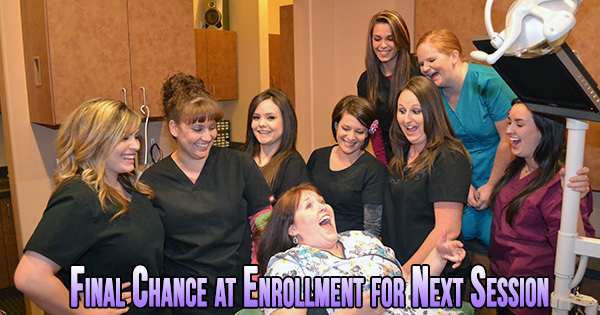 Enrollment for our next dental assistant session is almost full! Contact us as soon as possible – class size is limited, so hurry. Are you ready for a career where you can make good money? Looking for a career that you can do anywhere in the United States? If so then why not become a dental assistant? There is a high demand for dental assistants right now and is growing every day. Is Dental Assisting a career for you? We are enrolling now for our next sessions, so simply email, call (615) 988-8484 or, come visit the school today and check out our dental assistant facebook page! 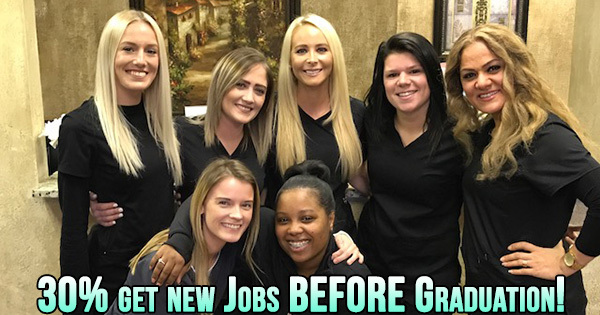 A new career is waiting for you – like these dental assistant school graduates. Before Graduation 30% of our students have new Jobs. A little hard work, determination, and a great attitude is all you need to get you through 13-weeks of classes that will change your life! 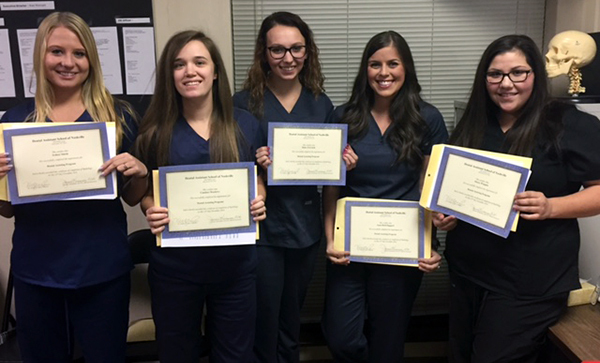 Our dental assistant school graduates know that they have the knowledge they need to be the best of the best in their new career field! “I met with Mrs. Kaye who was very sweet and gave a warm welcome. I explained to her my situation and that I had a learning disability. She was very understanding and told me a little bit about the program and the instructor. I get the opportunity to meet with the instructor Mrs. Janeane the same day. After talking with Mrs. Janeane, I was less nervous and more excited to start classes. A few weeks into the program and I was already learning so much. Mrs. Janeane was very encouraging and had confidence in all of her students. She treated us all like we were her own children. She took the time to make sure we understood the material. She made learning a fun and exciting experience for us all. Mrs. Janeane is one of the best instructors I’ve ever had. And because of her, I’ve learned so much and will be graduating as an RDA (Registered Dental Assistant). Mrs. Janeane helped me to have confidence in myself and that nothing is impossible, because the word itself says I’m possible! 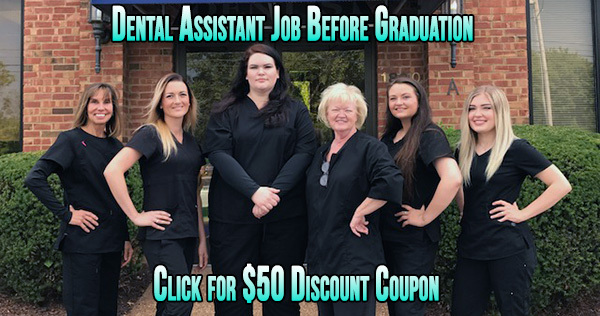 I would definitely recommend this program to anyone who wants to work in the dental field!” – says Heather T.
“I had been referred by a former student of the Dental Assistant School of Nashville who said that I should definitely try it out. My life had not been going too great in the employment area. So I thought that school would be the same. I decided to take a leap of faith and sign-up so that I could make a greater life for me and my unborn son. From my very 1st day of walking into class, I knew that I would succeed. Mrs. Janeane and my classmates made my time here very interesting and worth every penny. 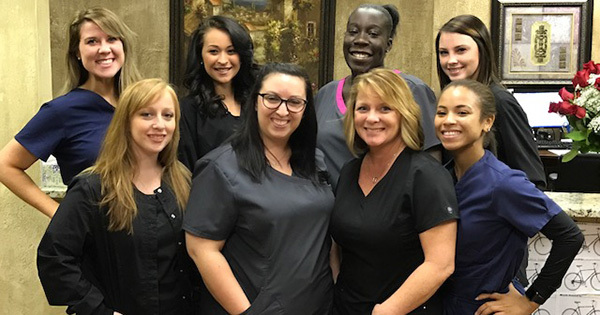 I will most definitely recommend anyone who wants a great learning experience and great career to come to the Dental Assistant School of Nashville.” – says Kamira B. Have goals to become a dental assistant like these two students did? If so, then all you have to do to join our next session is simply email, call (615) 988-8484 or, come visit the school today and check out our dental assistant facebook page! Here is a life changing dental school success story form one of our students: “My story begins with my family living from pay check to pay check. My husband found the ad from craigslist from this school about becoming a dental assistant. I thought he was crazy but I decided to check it out anyway. Mrs. Kaye was amazing at telling me what I needed to do along with showing me around the office. I felt so welcomed, So I signed up for class. 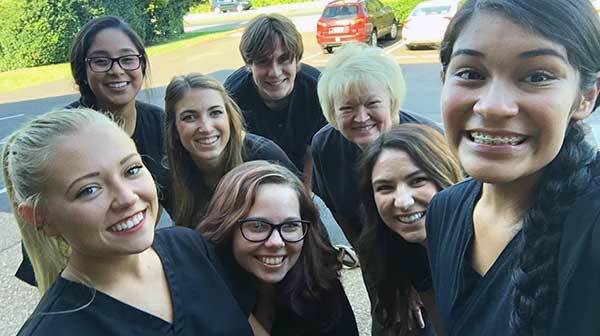 Another one of our students had this to say about our class: ” I am extremely grateful to have been able to attend the Dental Assisting School of Nashville. I knew I always wanted a career in the Health Field but I wasn’t sure which field I wanted to work in. I began searching and found The Dental Assistant School of Nashville and it immediately caught my attention. I began my research and decided to just go for it. I was nervous and excited on the first day of class but I can now say I have the confidence I need and have made the best decision. Our teacher Mrs. Janeanne was so kind and patient, she made sure to help us gain a better understanding no matter what our questions were. Her knowledge and passion for dentistry showed the moment she began teaching. I will miss this school but I am very excited to begin my career as an official Dental Assistant. Want to achieve goals like these two students? All you have to do is join our next session – simply email, call (615) 988-8484, or come visit the school today! 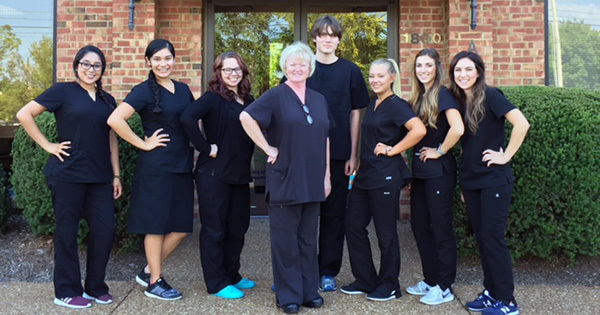 Join “THE BEST” dental assisting school in the Nashville area to get a great dental assistant salary. One reason we are the best is that our classes go beyond your typical training and this shows by the number of our students that get hired. One more reason to attend our school is that Dr. Kellye Rice is offering an additional $100 scholarship to help reduce tuition cost for a limited number of students who join the next session. We train in an upscale dental facility with a “woman’s touch” and are very professional in all matters of learning so the students can get the best out of the course. Many of our students graduate with a dental assisting job. Please note that this scholarship can be used along with the $50 scholarship for signing up online which totals $150 off tuition. We limit the number of students per class. This allows for the best interaction with our teacher and the students. You will gain the skills, know-how and personal confidence to excel in your new career and great dental assistant salary. 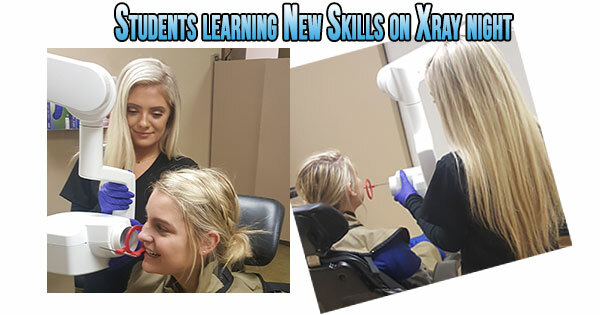 “This dental assisting school was a great experience, it gave me a solid career” says Halee F.
“I feel like this school has prepared me for my future career. I would recommend it to anyone.” – Candace M.
Grab a scholarship before they are gone – the deadline is Jan. 13, 2017 and there are a limited number available. Join our next session – simply email, call (615) 988-8484, or come visit the school today!